Distimo, a startup focused on providing app store analytics, has published its latest report detailing the mobile app ecosystem across the Apple App Store for iPad and iPhone, BlackBerry’s App World, the Android Market, Nokia’s Ovi Store, Palm’s App Catalog and the Windows Marketplace for Mobile for July 2010 in the United States. Similar to previous reports, Distimo primarily looked at pricing characteristics across all major app stores to determine the proportion of free vs. paid apps and the average cost of which, which continue to rise. The Android Market continues to have the largest share of free apps compared to the others, with 60% of the total, compared to just 29% for Apple’s App Store for iPhone and 26% for the iPad App Store. Android has more than double the amount of free apps than any of the other six App Stores in the report. In terms of pricing, the report states the average price of the 100 most popular apps in the Android Market and Palm’s App Catalog is higher than the average price of the entire catalogue of applications. While the average price of all apps is only 16% higher in the App Store for iPad over the App Store for iPhone, the average price of the 100 most popular applications is nearly three times as high for iPad apps. Over 60% of apps are priced below or equal to $2 in the App Store for iPhone, Android Market, Nokia’s Ovi Store and Palm’s App Catalog, while the proportion of apps priced below or equal to $2 is much lower in the App Store for iPad and Windows Marketplace for Mobile. As usual, you can find much more info, data points and graphics in the actual report, available for download here. This article is published by Mobile Marketing Watch, click here to read the original article. Users of the iPad and iPhone mobile devices, based on the iOS platform, tend to be younger and wealthier than typical mobile subscribers, according to a recent survey by The Nielsen Company. Only about 15% of iPad users are more than 56 years old compared to 33% of all mobile subscribers. However, while more than 10% of both iPad and iPhone users are 18-24, compared to less than 10% of all mobile subscribers, the most substantial difference occurs in the 25-36 age bracket. About 40% of iPad users and 30% of iPhone users fall into the 25-36 category, compared to about 20% of all mobile subscribers. Early advertisers on the iPad – Target, Dove and Ford Lincoln – all sounded the same trumpet call: their iPad campaigns had higher levels of user engagement than their online campaign counterparts. 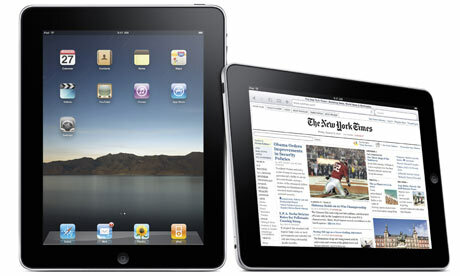 Since then research firms have been scrambling to quantify just how much more engaged iPad users are with advertisers. New figures come from Mobclix, which just launched the Mobclix Index, a new monthly series of infographics that aims to shed more light on the constantly shifting mobile ecosystem. Platforms including Apple‘s iPhone and iPad, Google Android, Research In Motion‘s BlackBerry and Windows Mobile 7 will be highlighted. Based on advertising data resulting from the total number of iPad ads served by Mobclix (300 million impressions per month on average), the Index finds that, yes, there is increased engagement on gaming apps played on the iPad versus the iPhone. This article is published by Francis Anderson, click here to read the original article. Here is an example of how iPhone apps (applications) can be an important and far-reaching marketing platform for your business! When it comes to trying to harness social media to get an edge in the increasingly brutal fast-food wars, Pizza Hut certainly isn’t alone. But Pizza Hut is somewhat unusual both because of the intensity of its social media focus and because it’s specifically seeking to promote its profile as a social media innovator. The chain has promoted its hiring of a “twintern” to manage its Twitter and social media presence, as well as the twintern’s first tweet, which was devoted to announcing free stuffed pizza rolls on July 4, to celebrate Pizza Hut’s Facebook fans reaching 1 million. Pizza Hut’s easy-ordering platforms already included its site, a widget on Facebook, and text messaging. And now, the chain has officially announced the launch of a new iPhone and iPod Touch app, which has been in beta since July 8.